Much to our surprise, Hampshire has only two garden centres which are in the top UK 100 garden centres by turnover. No worry however because the quality of the garden centres in Hampshire is as good as the best in the UK. 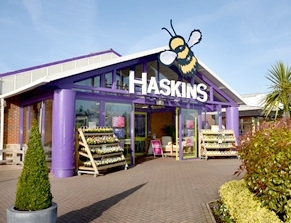 Visits to garden centres are often combined with visits to other attractions. Hampshire has the New Forest and south Downs which cover just under half of this beautiful county. A bit further south in the county are the historic towns of Southampton and Portsmouth. The county also hosts the famous motor museum at Beaulieu. The county town of Winchester is well worth a visit with its stunning cathedral. The family that own Allington Nursery have been in the horticultural trade from 1922 over several generations. They moved into their current site in 1986 and have developed considerably over the .... click here for the full article. The Andover Garden Centre is reasonably standard, belonging to Wyevale Garden Centres. You can expect quality plants with a five year hardy plant guarantee. The layout of the plants area is rather boring but .... click here for the full article. Brambridge Garden Centre has a long history which is traced back to Brambridge House, the other side of the road. In times gone by the garden centre was a walled kitchen garden which was used to .... click here for the full article. This is definitely the smaller of the two Garsons garden centres but the range of plants will satisfy most gardeners and they are certainly in good condition. The hardy plants at Garsons are guaranteed for .... click here for the full article. The garden centre was previously known as the Swan Garden Centre and was originally a modest business. 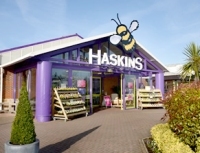 Haskins bought it in 1991 and over the next few years expanded it considerably .... click here for the full article. The Winchester branch of Hillier Garden centres is their oldest and has been owned by them from when it was originally opened many .... click here for the full article. Keydell Nursery is privately owned and has been on the current site for over 50 years. In 2011 they applied for planning permission to relocate to a much larger site. This application was narrowly turned down. However .... click here for the full article. Mount Folly Nurseries was started by Graham and Angela Cowles back in 1985 and originally concentrated on propagating and growing their own hardy plants. Two serious weather events in 1987 and .... click here for the full article. Mud Island Nurseries is a family run business which began trading in its current form in 1992. Plants are at the centre of this garden centre and indeed they grow many of their own plants on site. Plants are .... click here for the full article. The plants area is unusual in that almost half of it is under cover. The covered area houses tender plants, pots and other gardening goods including an extensive and well laid out range of water features .... click here for the full article.